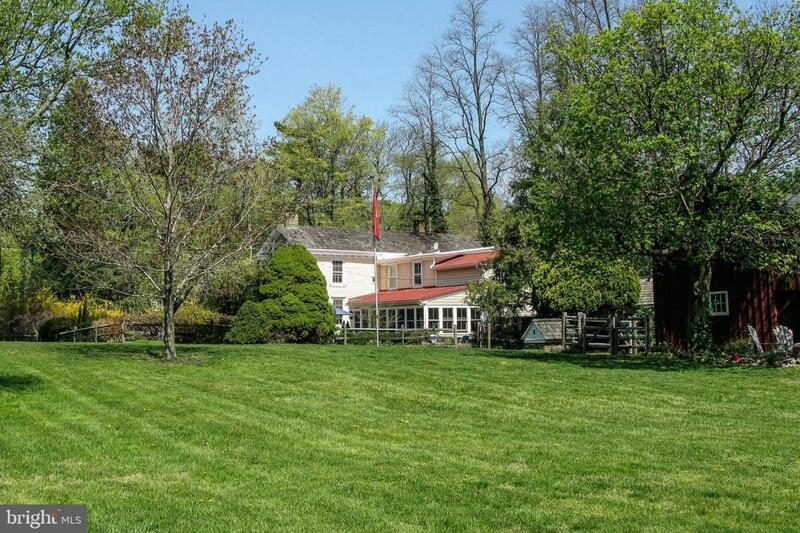 Bucks County farmhouse meets European simplicity. 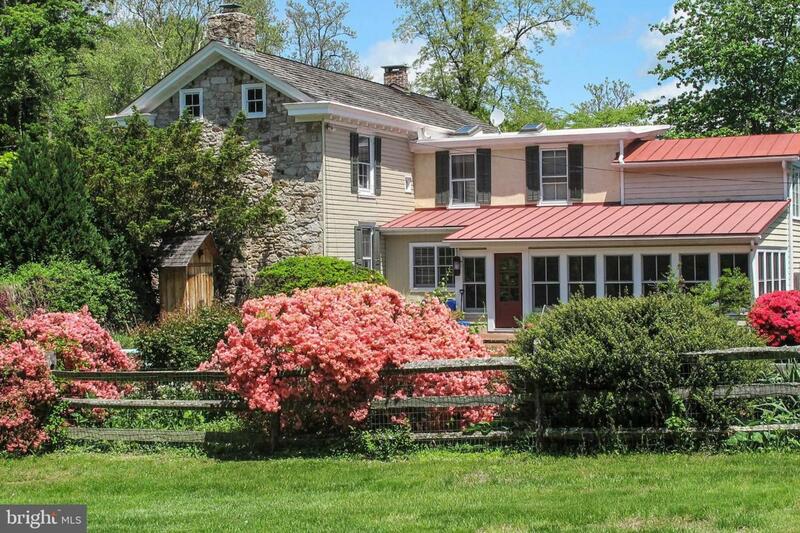 Set in the heart of Solebury village, this striking fieldstone and clapboard home offers an ideal location with landscaped privacy. The home offers spacious rooms and a flexible floor plan with the possibility of a 1st floor master bedroom with full bath. Upon entry you are taken by the high ceilings, hardwood floors, plaster walls and neutral color palette. The formal living room features a fireplace, deep set windows, beautiful built ins and crown moldings. There is also a formal dining room and a large eat-in kitchen offering all of the modern amenities one expects today. Off of the kitchen is a large mud room and also a lovely all seasons sun room with walls of windows overlooking the bricked terraced pool area perfect for indoor and outdoor entertaining. Three additional bedrooms occupy the second floor. The largest bedroom has its own en-suite bath with a two room configuration. A second staircase leads to an additional bedroom suite with bath and sitting area which overlooks the large swimming pool. All bedrooms are spacious and bright with beautiful hardwood floors. The home is located on over 3 beautiful acres draped in magnificent, mature plantings and is framed for privacy with shrubs and a tree lined driveway. The heated pool and surrounding terrace open out to lawns and long distance views. There is also a two story barn which offers a spacious 2 car garage, workshop and a second floor for storage. 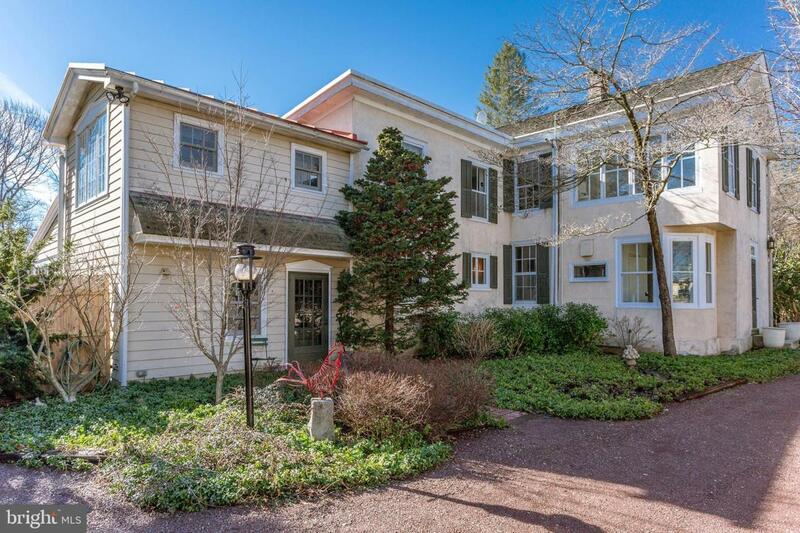 This property epitomizes old Bucks County with a minimalist flare and attention to every detail. 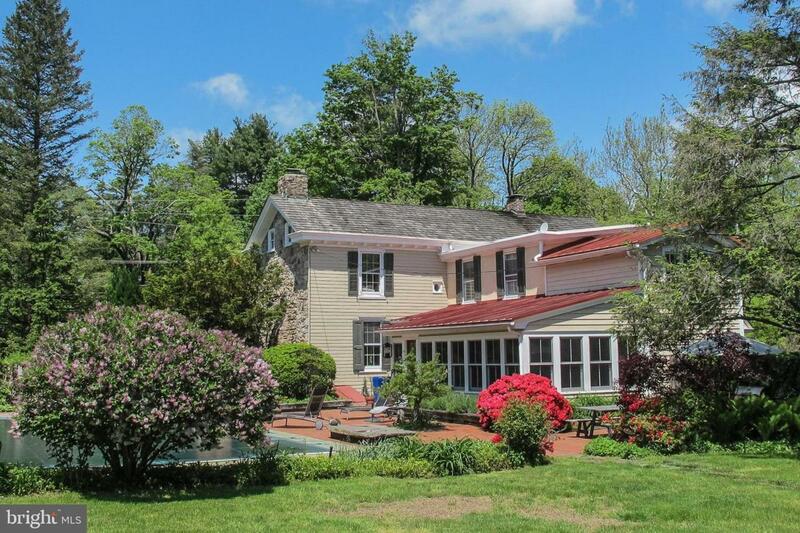 Located 70 minutes to NYC, 50 minutes to Philadelphia and 35 to Princeton.